For this year’s summer challenge, I’m going to be picking up where I left off back in January 2014 with 3D graphics on the Commodore Amiga. I’m hoping for prettier graphics, better frame rates, and hopefully dipping into some other aspects of the Amiga graphics hardware. I’ll be linking all the posts for this project on this page. Implementing a line-drawing algorithm isn’t that hard, but no nontrivial piece of code works right on the first try. Or the second. With back-face culling, it just about looks like a solid object. 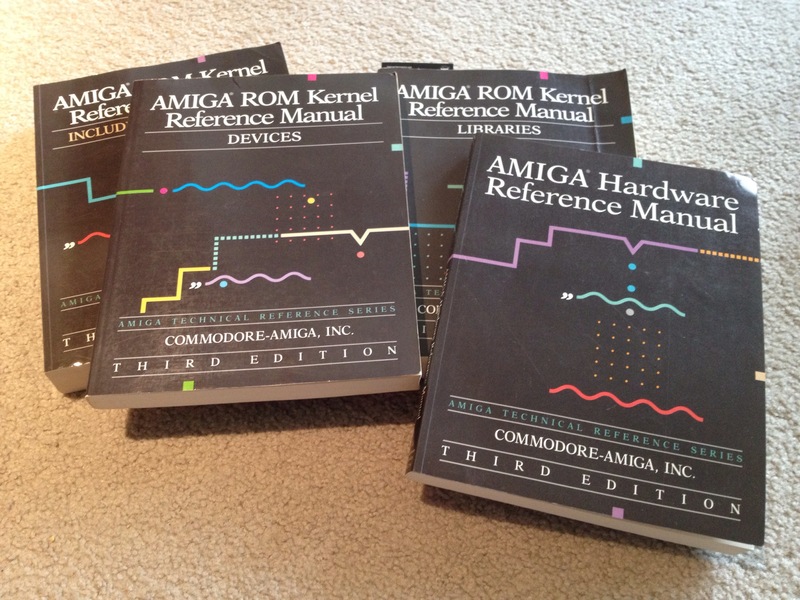 Over the last year, I’ve added a couple volumes to my collection of reference documentation. Hopefully they’ll come in handy!